Home>News of Electrical System > What do you have to know before installing a home solar electric system? What do you have to know before installing a home solar electric system? 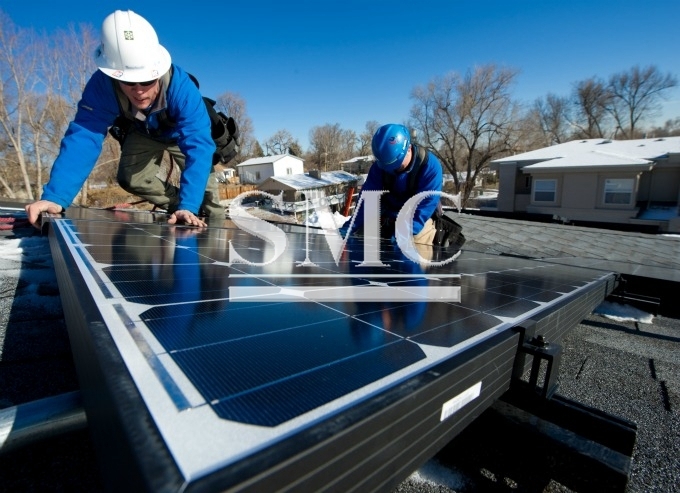 Making sure your home solar electric or photovoltaic (PV) system is sized, sited, installed, and maintained correctly is essential for maximizing its energy performance. When installing a PV system, consider questions like “How much sun you have?, How big the system needs to be to meet your electricity needs, Where the system will be located and how much room it needs (system siting).Whether you want your system to be connected to the grid or not. What needs to be done to ensure that the system is safe? An efficient and long-lasting system will depend on a periodic check of system components and completion of any preventive maintenance as necessary. It is always better to talk with the system installer about routine and periodic maintenance. In the event of a system malfunction, effective troubleshooting and repair is necessary. Accurately sizing the components of your solar electric or PV system helps ensure that your system will produce the amount of power you want it to produce. This is especially important for stand-alone systems, which are not connected to the electricity grid. Because PV is modular, you can always add to your solar energy collector should you need more power down the road. First, consider what portion of your current electricity needs you would like your PV system to meet. For example, suppose that you would like to meet a certain percentage of your electricity needs with your PV system. You could work with your PV provider to examine past electric bills and determine the size of the PV system needed to achieve that goal. You can contact your utility company and request the total electricity usage, measured in kilowatt-hours, for your household or business over the past 12 months or consult your electric bills if you save them. If you reduce your electricity loads, you can generally buy a smaller, less expensive PV system. In addition to how much electricity you'd like to generate, the size of your system also depends on these factors like the site's solar resource or available sunlight, the system's orientation and tilt, the system's efficiency at converting sunlight to electricity, other electricity sources, like a utility, a wind turbine, or a fossil fuel generator. PV systems are classified by their rated power output (the peak power they produce when exposed to solar radiation of 1,000 Watts per square meter at a module temperature of 25°C). Systems rated between 1 and 5 kilowatts are generally sufficient to meet most of the needs of home and small business owners. The table below provides an estimate of the roof area needed for several systems. Your system supplier/installer can make, or help you make, more precise calculations at your site before you purchase a system. Both the orientation and tilt of your solar panels or PV modules will affect the output of your solar electric system. You and your contractor should consider both factors while evaluating your site's solar resource and sizing your system. PV modules should be oriented geographically to maximize the amount of daily and seasonal solar energy that they receive. In general, the optimum orientation for a PV module in the northern hemisphere is true south. However, your modules can face up to 45 degrees east or west of true south without significantly decreasing its performance. 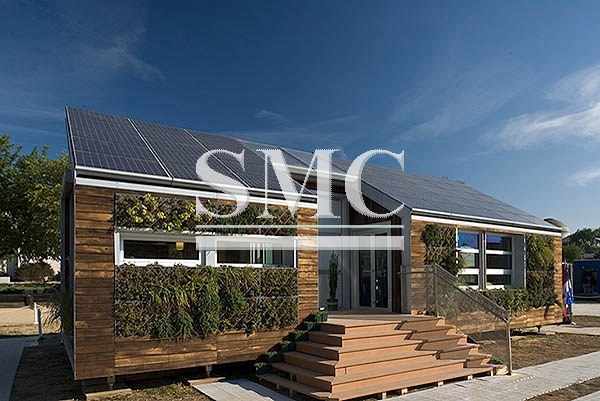 If you plan to mount the modules on your roof, you'll also want to consider these factors such as roof orientation and condition, local landscape features that shade the collector daily or seasonally, local weather conditions (foggy mornings or cloudy afternoons) that may affect the optimal orientation and subsequent electricity production of the PV modules. To be eligible for some rebates, your system must be unshaded between certain hours during certain times of the year. Some states also have laws that establish your right to protect your solar access through the creation of a solar easement. If a rooftop can't be used, your solar modules can also be placed on the ground, either on a fixed mount or a "tracking" mount that follows the sun to orient the PV modules. Most PV modules are mounted flat on the roof, and so have the same tilt as the roof. Although the optimal tilt angle for your modules is an angle equal to your latitude, fixing the PV modules flat on an angled roof is generally not a problem. However, because most roofs are pitched at an angle less than the latitude, you and your contractor will need to factor your roof angle into the performance calculations when sizing your system.